Kevin Reynolds is the regional president and director of sales at United Bank. Prior to coming to United Bank, he was the president and director of sales for Cardinal Financial Corporation. He joined United Bank in April 2017 following its acquisition of Cardinal Bank. Prior to establishing Cardinal with a select group of community leaders in 1998, he held executive and managerial positions with several leading area financial institutions in the DC region including George Mason Bank and the American Security Bank. Fred Diamond: Who do you sell to today? Who are the primary people that you target and that you try to sell the various services to? Kevin Reynolds: United is a full service bank, meaning that we like businesses, we love not for profit organizations as well as employees and individuals, so we provide a full platform. I spend probably 80% of my time working with business clients, working with our lending officers, our bankers, our branch managers as they go out and build new relationships and or deepen existing relationships with businesses. Fred Diamond: Again, as you mentioned, you’re the first banker that we’ve interviewed on the Sales Game Changers podcast but I also know that you’re a sales guy at heart. I know you do a lot of sales training, we’ve had some conversations in the past about the whole sales process. Tell us how you first got into sales as a career and maybe even what made you realize that you were truly a sales guy. Kevin Reynolds: [Laughs] that’s interesting, I started my banking career in 1983, went through a program where I became a credit analyst and really learned the technical skills to be a commercial lending officer in real estate, in corporate lending, international lending, retail lending so I had the benefit of the technical skills on which I could be – in my mind – a pretty decent banker helping any type of client with their financial needs. And what he taught me really is something important, you have to build relationships, you start with your existing clients. It’s the clients that will open up doors and another common theme is you look at your clients and you want to replicate who other clients are. That is in industries, there are types, where they’re located, their number of employees and revenues. Learn who their CPA is and build those, the term that I love is triangulation. You have your client and you quickly want to know in addition to you as the banker, CPA, lawyer, insurance adviser because all of you, all of those points are circling the client and you have mutual interests. And by the way, they want to take care of their client and what you do is you build relationships with those folks. Fred Diamond: That was great advice. Do you think that most bankers realize that they’re in sales? Kevin Reynolds: I will tell you that one of the themes that I have seen in my life is that lenders think of themselves as lenders and branch managers think of themselves as deposit gatherers, mortgage officers think… Whereas if you think of a more holistic, broader appeal of being a banker – a banker is a much loftier and in my mind a more important part of what a true banker can help a client. Risk management growth, value, really from a consultative basis. One of the things that I’ve strived in my career is a player coach, more of a coach today than a player, is to folks to think about how they can bring value to the equation. Again, how you can bring value to your client but also maybe value to that CPA and that attorney. Fred Diamond: There’s a couple themes that we’ve heard over the course over the Sales Game Changers podcast since we launched and definitely one of them is that you need more than ever to be creating value for your customers. There’s so much competition, the customer can get a lot of information now, even your industry has gone online in some ways so how you continue to show value. Tell us a little more about yourself, Kevin. What specifically are you an expert in? Tell us a little more about your area of brilliance. Kevin Reynolds: Well, I’m not sure brilliance is what that I would use but I will say this: the expertise I bring in is hopefully convening in bringing resources to whatever endeavor, whether or not it’s the client relationship, is it opening doors for a client’s son or daughter that might be applying to college, I have on my desk today two recommendation letters to a local university to help two sons of two different clients who are on the waiting list at local university and I happen to know the president very well and have met with both of the sons and highly recommend them. That’s bringing the value of relationships that I have. I’m blessed I grew up here so I know a lot of folks not only in Northern Virginia but throughout DC and Maryland and feel like I can open up doors for folks. One of the things that I’m most excited about is helping our young people. Today, I had a chance to present to nearly 80 colleagues a sales training about identification of prospects, cultivation, closing and then what we’re developing here at United Bank, the United way of selling and for each of those 80 colleagues and associates to understand the value proposition of what makes United Bank. Fred, what you commented earlier on what the challenges is for bankers, is how do you differentiate United Bank from another bank whether or not it’s a national bank or a regional bank or a community bank. What has to happen is there has to be a confluence of the value proposition for you as the banker and for us as the United Bank to be able to compel someone to move. Fred Diamond: Absolutely. You’ve had a nice career here, tell us about an impactful sales career mentor, someone along the way who got you to truly understand the value of creating value and of the relationships and all the things that you just mentioned. Kevin Reynolds: Fred, I’m excited to do that. I’ve had the blessing and good fortune of numerous. For a start, there’s Paul MacNamara who’s on the board of United Bank but was formerly Sequoia Bank and the National Bank of Washington. Bernard Climberg who I met in 1983 and who I’ve worked directly with for the better part of my career. I have folks that I look back and helped me, Dennis Sherwood and Charles Gebbord, I think of guys that I’ve worked with, with Dennis Griffith and Chris Berkstrum and Bill Monday and so many other folks and now I have the chance to work with Richard Adams. Richard is 72 years old, he is the chairman of the board and I’ll tell you, he is a sales leader. Top accounts, top prospects and he gets motivated like I do about bringing in new relationships and helping the existing relationships so I’m indeed fortunate with mentors. One of the things I would say, Fred, that a coaching that I would tell all of my colleagues here at United but also to the folks that are listeners and part of the Institute is that mentor relationships are absolutely critical, you have to build those relationships, you have to nurture them, you have to listen, you also have to be able to sometimes take thick skin and I’ll tell you, I’ve had my ears boxed numerous times where I’ve made mistakes in sales presentations, sales initiatives but you learn from your mistakes and that good mentor that goes up and says, “Kevin, I would have done this slightly different or maybe a different approach” so be willing to learn. One of the great things that I love doing is being in a group where I ask a junior officer, “What could I have done differently?” and they have the moxie to say, “Kevin, I think you talk too much.” [Laughs] you take that kind of experience. To all the listeners and to those that are part of the institute, build those relationships, build those mentors. Fred Diamond: That’s very strong. Most of the Sales Game Changers we’ve interviewed have mentioned a mentor or two, you mentioned close to a dozen here including some that I presume you still have deep relationships with. Kevin Reynolds: Absolutely. I speak to all of them frequently and they’re not only professional mentors but personal friends and folks that I really look up to and I’m grateful for their relationships. Fred Diamond: What are two of the biggest challenges? Again, the banking industry is very competitive. As a matter of fact we’re sitting here, by the way, Sales Game Changers we’re doing today’s podcast from an area called Tysons Corner which is basically the business center of DC and as we look around we see cranes and we see buildings going up and we see other signs of other banks in the region, if you will. 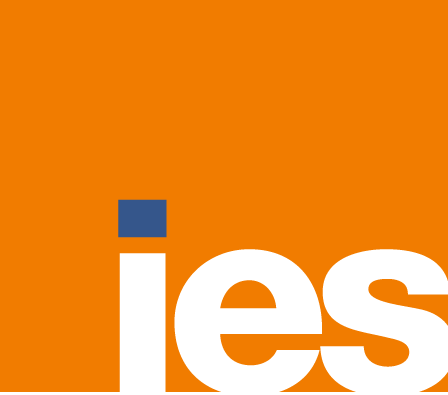 What are two of the biggest challenges you face today as a sales leader? Kevin Reynolds: It comes down to people and process. I’m a people person and yet today at United which is 19 billion dollars process is important so what we have to do is make sure that the process does not get in the way of people and taking care of clients. 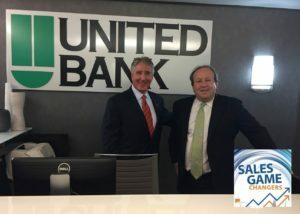 At the same time, we’re in a regulatory environment where compliance and risk management are key so we have to balance that and I’m excited, I see entrepreneurship here at United Bank but as I look at the people and the process and the process of building the sales culture are two things that are challenges but also opportunities. Fred Diamond: Take us back to your career again, you of course had the great sale of Cardinal Bank to United Bank. Take us back to the #1 specific sale success or win that you’re most proud of. Take us back to that moment. Kevin Reynolds: We started Cardinal Bank in 1998, we had just sold George Mason Bank where I’d been a corporate executive and I had the chance at age 37 to help start the bank and five of us who were still friends and several of them still here at United Bank we call ourselves the trailer trash. My job was basically to make sure that when we opened up the doors in June 8th in 1998 that we had customers coming in. So what I did is I built a focus group and I basically went out to 18 of my very best clients and I invited them to a series of dinner meetings where they helped me and a focus group and others to build the product menus, what were commercial products, what were deposit products, what were the lending products, some of the marketing ideas. 17 of those 18 people within 6 months of us opening up became clients and I looked at it, I asked them one thing, “Would you help me be on a focus group?” and the power of asking people to help – so as I tell your listeners today, do not be afraid to ask for help. Fred Diamond: There’s a great quote from Oprah Winfrey, something along the lines of, “Courage is the ability to ask the right questions at the right time and the right things that you need people to do for you.” or something like that. We’re talking today with Kevin Reynolds, he’s the director of sales at United Bank, of course United Bank purchased Cardinal Bank – is that how we say it? Fred Diamond: Could you talk for a second or two again about some of the millennial challenges and how you as the sales leader are helping them get successful? Because one thing we hear is a lot of them are starting off and then they leave the sales profession because they’re just not getting either the right coaching or being told the right expectations or really being helped along to be successful. Kevin Reynolds: Fred, thank you. I look at the millennial generation as one that has three things: one is a passion, two, a caring and then three is I look at the energy and I think as leaders working together we have to appeal to that passion, to that caring and to that energy and really inspire our millennials to embrace the thoughts of sales. I look at it and the word and for many millennials the notion of sales is not a higher calling, but I say it’s not sales, it’s really bringing value and helping. As I look at the role of me in this organization that I’m so excited is to say it’s not really selling, it’s knowing the value proposition and where we can help. Where can we make that first time home purchase? What that loan to a start-up business, that loan to help a church expand, that loan to a school or charter school that really gets them to the next level. That’s where you bring the value of a banking relationship and you as a banker are not selling but you’re really bringing value and that’s the key for the millennial, is that passion, caring and energy that it’s not just selling a widget, you’re really helping dreams happen. Fred Diamond: Did you ever question being in sales, or did you ever question that your role was sales? Was there ever a moment where you thought to yourself, “It’s too hard, it’s really just not for me”? Kevin Reynolds: No. Bob Hawthorn who I now have the privilege of working with is a well-known and respected banker and his coaching was, “Always be around the customer, always be around revenues and always be building” and I look at the success or the successes that I’ve had in my career as really akin to a team effort and yes, there’s challenges, there’s times where you feel like you’ve won the deal and you hear the rejection but I’ve always had a positive attitude, Fred. Another coaching example I would say to our listeners is no doesn’t mean no, it just means not yet and as I tell folks, we’re in for a marathon. As folks have a plan, they have a pipeline, they have activities, think about the long term. Yes, you have to have your A and B and C clients and prospects and tomorrow’s the end of the quarter and a lot of folks are looking at their score cards and hopefully a lot of them are smiling but to the ones that aren’t smiling and you asked what was challenging, you know what? You can’t do anything about yesterday. You can’t do anything about what happened last quarter but you can impact what happens tomorrow and you have to have the attitude and the plan and the commitment to execute on going forward. Fred Diamond: Kevin, you’ve given us so many great tips here but what’s the most important thing you want to get across to junior selling professionals to help them take their career to the next level? Kevin Reynolds: It’s very simple: team based selling. I’m a big believer that – and even in my stage in my career – I rarely have a one on one appointment. I love bringing a young associate, a young banker, branch manager or a young protégé on a call where I can hopefully impart a little bit of the techniques of good listening, pre-call planning, post-call follow up. It’s team based selling, you have to have a plan and at the end of the day for the young folks, so many of them hide behind email. You know what? Selling is a contact sport. Pick up the dog gone phone and say, “Fred, I want to meet with you.” and have a reason for meeting. Say, “Fred, I got a prospect for you.” so as I look at the coaching that I spend so much time on sales contact sport. You’ve got to ask for the appointment, you got to ask for help and you have to ask for the business. Fred Diamond: That’s very powerful. People ask me what’s the most important thing that I’ve learned in the five years that we’ve been running the Institute for Excellence in Sales and the one thing I always say is that the most important sales tool is the phone. Pick up the phone, get that conversation going but I also liked what you just said that you rarely have one on one meetings, that you frequently bring young people with you or junior bankers. What are some of the things you do, Kevin, to sharpen your saw and stay fresh? 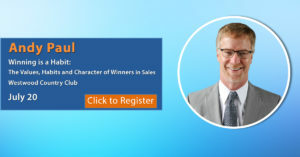 Kevin Reynolds: I get excited about even this podcast because talking and getting new ideas and Fred, you’ve interviewed over 100 folks and the fact is last night I listened to the podcast and I listened to two sales experts that I took notes from and really enjoyed it. I’m a reader, I love Daniel Pink, “To Sell is Human”, he just finished a great book that I was a guest to Baker Tilly called Win which talks about the science of timing, when good appointments are, a lot of takeaways for all of us in sales or business development so reading, listening. The other thing that we talked about before we got on air is meeting positive people. I’m a believer that winning begets winning. If you’re around positive, winning attitudes, it is infectious so don’t go and see the bad movie, go see the Rocky and get inspired. Zig Ziglar, Tony Robins and others, take time to listen to inspirational books on tape and surround yourself with happy, nurturing people. Kevin Reynolds: The big initiative is sales culture. United Bank is blessed that they have had 31 acquisitions during the tenure of Richard Adams. The bank has grown literally from when Richard took over a hundred million dollars in Parkersburg, West Virginia now to 19 billion plus headquartered here in Tysons. That culture has been one of acquisition and the amalgamation of 31 cultures is as you would expect, it’s like 31 different family members coming together and learning to be able to sing off the same value proposition. Cardinal was mostly an organic shop so we basically grew organically. I’m trying to build what I thought was the best of Cardinal but to make it in the United framework and I’m really pleased that the leadership of United Bank have embraced that notion. My challenge is not to break the load bearing walls but to take what’s special of United and amplify it and make it pervasive throughout our organization. Fred Diamond: Very good. Again, talking today with Kevin Reynolds, director of sales for United Bank. Kevin, we’ve talked about some of the challenges, sales is hard. People don’t always return your calls or your emails. Again, why have you continued? I think we’ve gotten a lot of this through the podcast already, but what is it about sales as a career that has kept you going? Kevin Reynolds: I love the excitement of meeting new people, new businesses, I still prospect, I have a goal of five reach outs a day to existing clients, prospects. There’s nothing better than building a new relationship helping someone so I get energized by that. I’m a youthful 58, I have a 14 year old son, I have a wonderful wife that married me for better or for worse but not for lunch and so high impact. I get up at 5, 5 30 without an alarm clock, I have lunch, breakfast and dinner and I’m excited about being a banker, being a United banker and helping my clients and our clients. Fred Diamond: Why don’t you give us one final thought that you can share to inspire them today? Kevin Reynolds: Make it fun. Whatever you do, whatever business you’re in, if at the end of the day it’s not fun and you get that Sunday churning before you go into work on Monday and you’re dreading going to work, get out of that business. Find something that gives you passion. That’s not to say that every day’s going to be a bowl of cherries. Some days there’s pits in there and sometimes there’s bad periods but at the end of the day what I love about being in the business development and the banking is helping others.